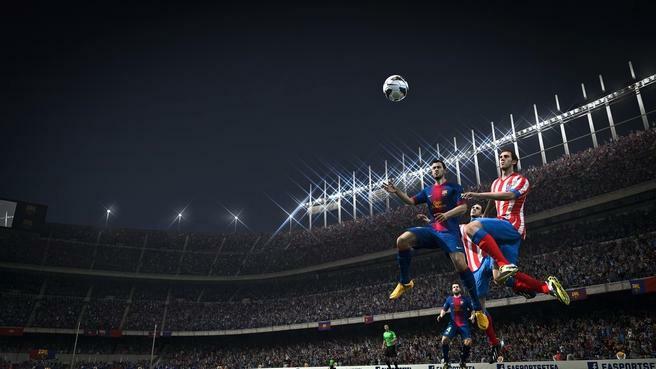 Review Fix chats with “FIFA 14” Lead Producer Aaron McHardy, who discusses both the current generation and next generation versions of the game, as well as its plethora of new features and legacy moving forward. Review Fix: How was this year’s development cycle different from previous years? Aaron McHardy: This year was a big challenge for us because we knew we needed to deliver a game on Xbox360, PS3 and PC that was a massive improvement on FIFA 13, and we also needed to deliver a game on Gen 4 that pushed the bar even further to use the processing power and added memory of the new consoles. At first glance this seemed like an impossible task, but I think we were able to achieve both of those goals, and I’m really happy where both games have ended up. I think we got a win in development early when we were able to bring back some technological advancements from our Gen 4 game back to the xbox360, PS3 and PC games, in the form of Precision Movement. Precision Movement and our new Step Based Locomotion technology ended up being a foundation for both games which was very cool. Review Fix: Considering that this may be the last year for a “real” FIFA game on the PlayStation 3 and Xbox 360, what have you guys done to ensure “FIFA 14” goes out with a bang on current generation consoles? McHardy: I’m not sure it’s the last year that we’ll develop a game on the PS3 and 360, that will be determined by whether or not the people go out and buy it. If our fans show an interest in games on these platforms going forward, we will likely be there to continue to make them. Having said that, this year was extra special, and I think we did a great job of bringing FIFA 14 another step forward for the series. We added some big changes this year like Protect the Ball, Pure Shot, and Real Ball Physics. On top of that, we probably made one of the biggest changes we’ve made in the Gen 3 console life cycle this year with Precision Movement. Changing our locomotion engine in FIFA is like swapping out the foundation of a house, it doesn’t get lower level than that, and I hope that goes to show that the investment we made in the PS3 and Xbox360 game this year was as big if not bigger than any other year in this last console cycle. And those are just to mention the major changes, there were still a whole pile of fundamental changes that we made this year too. I think the net result is that we’ve put out a game that feels and plays really differently than any other FIFA game, and I think it’s one of the best one’s we’ve made yet. Review Fix: Launch titles on next generation consoles are more often than not lacking in features and lack the polish later titles do. What have you guys done to ensure that doesn’t happen with this game? McHardy: We’ve been working on the gen 4 game for some time. We learned from the last console transition that making a scaled down version of your game just wasn’t going to be received well by fans. We set out to deliver a game on Xbox One and PS4 that was as fully featured as possible, and also had significant changes that took advantage of the hardware that we were given. Features like Pro instincts and Elite Technique do just that, and they take gameplay that we are already proud of on Gen 3 to the next level. When you couple that with all the things we’ve been doing on the presentation side of things, like new crowds, new cameras, better replays, animated sideline characters, the world on Gen 4 really comes alive. Review Fix: Considering that the 3DS and Vita versions are just kit and roster updates, what incentive do returning fans of the series on those handhelds have to pick up the games? McHardy: FIFA 14 Legacy Editions provide great gameplay, game modes, and features you’ve come to expect with unmatched authenticity that reflects the current football season, all at a great value. While there are no new innovations to these games, if playing with authentic players and teams are important to you, than you will want to play the new game. Review Fix: What feature are you most proud of in the current generation version? McHardy: I think the feature, or rather set of features, that I’m most proud of on the current generation version are all the changes we’ve made to Team Mate intelligence. I think what we have done on the defensive side of the ball really makes for a new experience and brings out the midfield chess match of football. This is something that I know we were very keen on getting right this year, and our fans have also been asking for this. On the other side of the ball, some of the runs that we are getting, in particular the runs along the back line, really open up your options. I think these changes have really made the series feel the most like football that it ever has. Review Fix: What feature do you think will be the most talked about on the next generation version? McHardy: Absolutely Precision Movement. This is one of those features like Tactical Defending in FIFA 12. It’s going to take some getting used to, because it completely changes the way everyone feels on the pitch on both sides of the ball. When we put features like this into the game we often worry that the changes will be too jarring for our fans, but with both Tactical Defending when we put it in on FIFA 12 and this year with Precision Movement, we are very confident that it is the right move to go forward with them, even if there is a bit of a steep learning curve. I think that Precision Movement does so much to open up space on the pitch in a realistic way, and this in turn gives us so many more ways to go about creating chances in the game. It’s one of those features that once you get used to, you just can’t go back and play FIFA 13 anymore. You’ll really feel that something is missing. Review Fix: How does it feel knowing that there are elements of FIFA games in nearly every EA title, from the physics engine to animations? McHardy: I think this is a really cool thing for me and my team. It’s nice to know that something that you build is sought after by other teams that we work with. But I will say that it’s not a one-way street. There is a lot of collaboration amongst all the teams at EA, especially in sports. In fact, this year we worked very closely with the guys from Madden on our Precision Movement feature because they were also very interested in getting the Step Based Locomotion technology into their game. We have a group of guys called EA Tech that work on things like Character Physics, which is the foundation of our Player Impact Engine, for all of our games. In fact it’s this principle of sharing that is the foundation for Ignite. We have all these great technologies on a lot of our sports games, it would be foolish for us to not collaborate and get the most out of them where we can. Review Fix: How do you want this game to ultimately be remembered? McHardy: I think for me, FIFA 14 is the year where the cerebral part of the game takes the forefront. In this year’s game the way you create chances is the most like real football that I’ve ever played. As a midfielder myself, the build-up play through the midfield in FIFA 14 is paramount to why I feel that this is the best football game that we’ve ever made. I’m quite proud of that because I know how much intelligence goes into getting this balance right, and it’s a very difficult proposition. This is the way that I’ll remember FIFA 14 many years down the line.